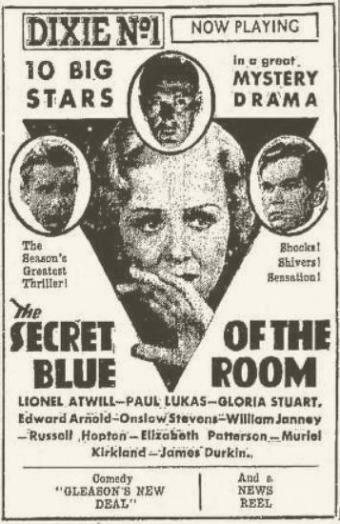 Secret of the Blue Room comes closer to earning horror movie status than the last movie I wrote about, but despite the Universal label and “Swan Lake” over the credits we’re still really in murder mystery territory. Still, the possibility of the supernatural hangs over a good portion of Secret of the Blue Room and the presence of horror icon Lionel Atwill helps sustain the notion that something really creepy could happen at any moment. Unfortunately for those looking for chills it never does. Possibly that movie could have been made out of the original deaths that took place in the blue room twenty years prior to the story we see. That curious tale, told by Atwill to his daughter and her admirers, sets up any horror element you may wish to read into Secret of the Blue Room. But Secret of the Blue Room is a decent murder mystery that holds up as a quality thriller today. Update: Now officially available on DVD-R as part of the Universal Vault Series. Beyond that bit of Tchaikovsky at each end there is no background music. In fact, other than the occasional bluster of wind knocking the windows open there is very little to hear beyond the dialogue. 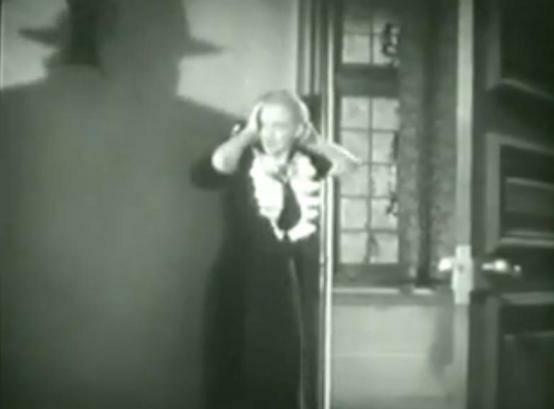 And that bluster is very occasional indeed: Spooky predecessor The Old Dark House (1932) featured stormier weather before you even got to see Gloria Stuart, who also stars here. All of the characters inside Secret of the Blue Room’s Castle Helldorf are rather restrained. The upstairs folks are bland beings with the greatest bit of flash coming from Paul Lukas’ military uniform. Downstairs the help are common folk and, other than Robert Barrat’s butler, they act it. When the police commissioner is called onto the scene he is matter-of-fact and plays it entirely straight. 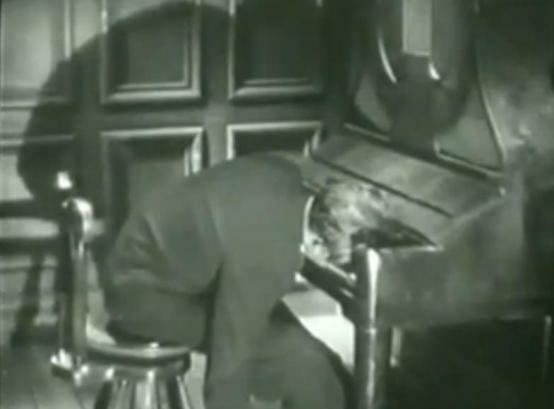 In this part Edward Arnold doesn’t even get to let loose one of his famed little chuckles. He barely cracks a smile. At the open Irene’s (Stuart) twenty-first birthday is celebrated by that upstairs crowd. On the scene are her father, Robert von Helldorf (Lionel Atwill), and the three men who are courting her, journalist Frank (Onslow Stevens), marine officer Walter (Paul Lukas) and young Tommy (William Janney), who’s head over heels for Irene and even tries proposing after cornering her away from the other men. That gives opportunity for the youngsters (and Lukas) to lean forward and listen to Lionel Atwill tell a spooky story. Twenty years ago, when Irene was still a baby, Atwill’s sister was staying in the blue room. At precisely one o’clock she was heard to scream and then gave no answer at the door. The door was broken down and the blue room was found empty. But the window was wide open and there, down below lying in the moat, was his sister. Dead. Von Helldorf explains that he was willing to dismiss her death as an accident but then four months later his best friend stayed in the blue room and was found shot to death at the same hour. Suicide was ruled out and no revolver was ever found. A third death occurred when a detective stayed the night and was found dead in the morning. The doctor said he died of heart failure due to a great fright. To this day only Paul, the butler (Barrat), has a key to the room. 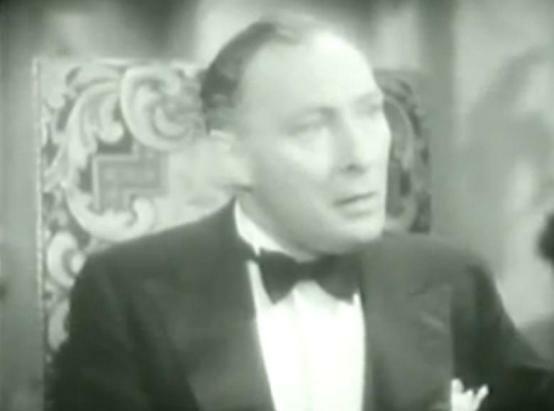 Lionel Atwill tells creepy stories. 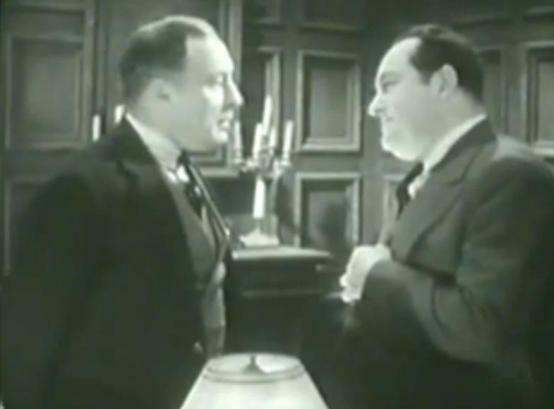 As butler Barrat enters to serve them he and Atwill seem especially nervous about this discussion of the blue room, either frankly terrified by those earlier happenings or in conspiracy with one another over what they know. It’s young Tommy who throws down the gauntlet volunteering to sleep in the blue room that night. Frank thinks it’s a great idea and too mature Walter is egged on until he agrees as well. One of them will stay in the room each night with the agreement that the next man will live up to the bargain on his given night, no matter what has occurred the evening before. “I tell you that anyone who sleeps in the Blue Room is never heard of again,” the butler tells his staff. That group includes, besides Barrat himself, Russell Hopton as a very shady chauffeur, Muriel Kirkland as a troublemaking maid and Elizabeth Patterson bringing ZaSu Pitts to mind as a scatterbrained cook. Also lurking about is a shady character played by Anders Van Haden and referred to in the credits as “The Stranger.” On a couple of occasions he’s shown trying to enter through the downstairs entrance but being pushed away by the butler, who knows him but insists that he cannot enter because the von Helldorfs have guests. One of the creepier scenes in Secret of the Blue Room comes following the first night of trouble. As Irene passes in the hallway the handle to the door of the blue room is seen to turn. She hears it and makes a cautious entry. Once inside a large shadow looms towards her and causes Irene to scream. Gloria Stuart gets to let loose a few times in this one and gives any other actress you’d care to call scream queen a run for their money in doing so. She also gets to sing a song, although I’m not sure whether that was actually her voice or not. After the blue room plays host to a dead body it’s decided that the police must be called to the scene. That’s when Arnold arrives as Commissioner Forster and becomes one of the top attractions of the movie as he interacts with each of the remaining characters. Secret of the Blue Room winds down with a clever yet very mortal battle with a good deal of suspense leading to the reveal of the killer. Arnold’s lawman ties up just about every loose end with Atwill stringing together another one or two we may have forgotten. As the love story is sealed and the music leads into the end credits it seems that there is nothing left to wonder. Except — what really happened in the blue room twenty years ago? We’ll never know. That leaves a good bit of mystery around some of Atwill and Barrat's earlier behavior. Directed by German-born Kurt Neumann, whose best known credits include three of the later Johnny Weissmuller Tarzans and, most notably, 1958’s The Fly, Secret of the Blue Room was a low budget thriller Universal marketed around its ten-star cast. Beyond those elements already mentioned this murder mystery gained an association with horror when Universal sold it to television as part of its Shock Theater package in 1957. For that generation it played with the surrounding ambiance and in the same time slot as Universal horror classics such as Dracula, Frankenstein (both 1931) and The Mummy (1932) among others. As such it likely disappointed a few young baby boomers! 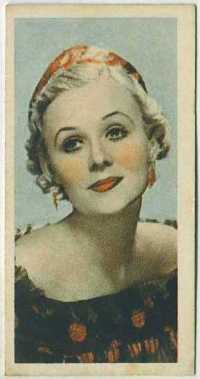 But it plays today as a fine mystery bolstered by its strong cast headed by Atwill, Arnold, Lukas and Gloria Stuart. 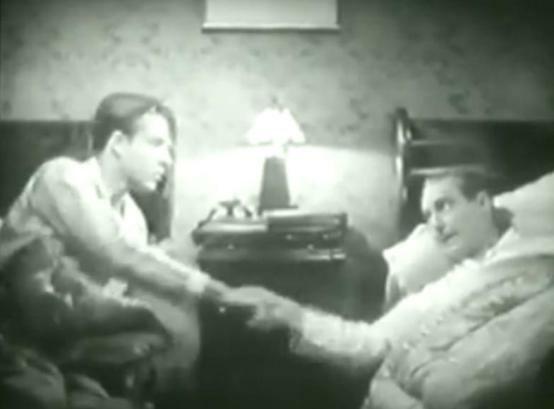 Onslow Stevens and Paul Lukas shake hands before going to sleep. Now that's formal! Secret of the Blue Room was remade twice by Universal, as The Missing Guest (1938) and as musical-comedy Murder in the Blue Room (1944). I’ve not seen either as of yet, so I can’t be sure whether the mystery unravels in the same fashion. 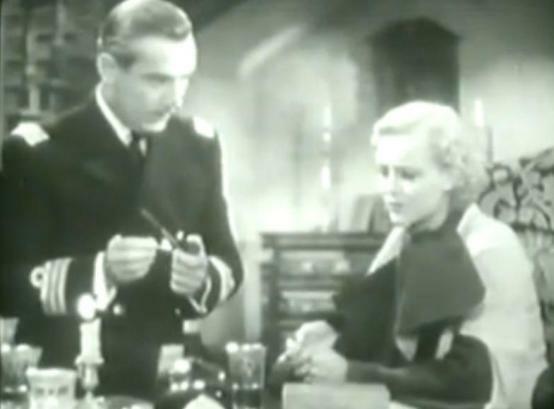 Secret of the Blue Room was itself a remake of a 1932 German film titled Geheimnis des blauen Zimmers. It likely won’t surprise you that I haven’t seen that one either. Update: Secret of the Blue Room now available as a manufactured-on-demand DVD-R from the Universal Vault Series. Pick it up on Amazon HERE . Love Barrat, but haven’t seen Mountain Justice though it seems like a similar experience to God’s Country and the Woman (1937), also starring George Brent. They wind up with each other a few times, though less than I expected based on the randomness of the two movies we just mentioned. Always wish Barrat would hang around longer and at least he’s in Secret of the Blue Room throughout, even if he doesn’t do much to distinguish himself but look nervous throughout. 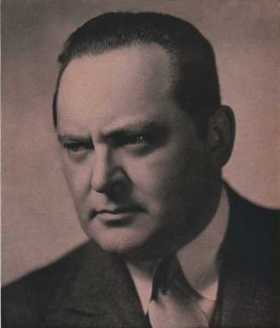 Actually he’s got a decent scene nose to nose with Edward Arnold too. Big, imposing guy, I like him as a hard-nosed business man, but he plays a good German too (not in this one). I see the IMDb has him down for a whopping 37 credits between just 1933-1934 alone–no wonder he seems like he’s in everything! yes. and it is some kind of range when you can play native, Germans, backwoods and Gen MacArthur–twice. and scare the bleep out of me the way he did.